The Regional Municipality of York is undertaking community consultations in support of homelessness operational system reforms and to inform the development of the 10 Year Housing and Homelessness Plan. As a first step in these consultations, York Region is looking for input in developing a Housing and Homelessness Community Asset Map. Please help us in this endeavour by clicking on the following link and telling us a bit about your organization. The survey is quite short and should take no longer than 5 minutes. In addition to the above survey the Region is also conducting several consultation workshops. Please let us know if you require any specific arrangements or accommodations in order to ensure full access to this consultation process. Please contact Sherri Washington at 905-830-4444 ext. 2032 or sherri.washington@york.ca by Friday, September 7th if you are interested in participating in one of these sessions. We thank you for your assistance and look forward to your input! York Region poet, David L. Rogers, who uses poetry as therapy and for strength in overcoming his problems. 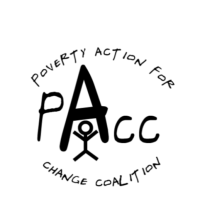 David Rogers is donating 50% of all sales of his book of poetry, “The Dark Road” to Poverty Action for Change Coalition (PACC) up until October 17, 2012, International Day for the Eradication of Poverty.